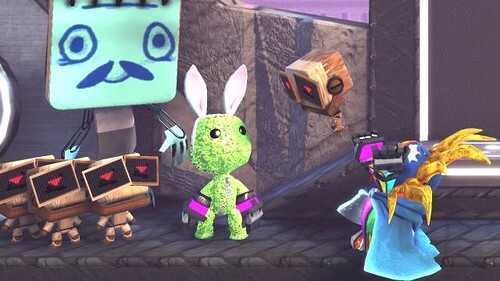 I owe the world some game reviews, notably the recent Rabbids game, but I had to squee about Little Big Planet 2. Unless you’ve never, ever, ever been here or met me or talked to me or had anything to do with me ever at all (in which case, hi!) 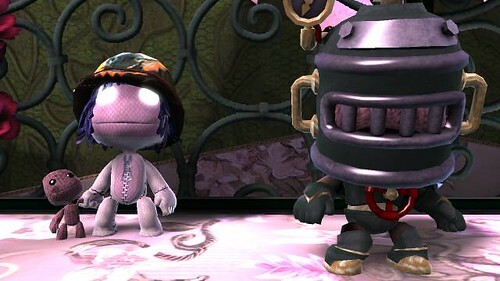 you will know that I have an almost pathological obsession with Little Big Planet. 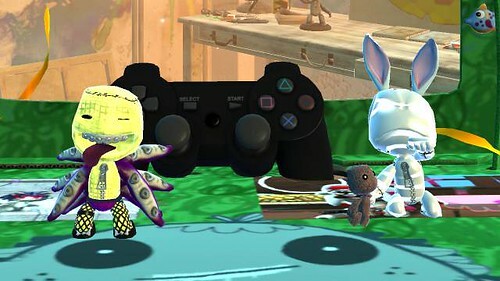 So when Media Molecule released a demo for the forthcoming LBP2, I was all over it like a rash. Frood and I have spent an inordinate amount of time playing it over the past couple of days. Yes. A demo. For the first time ever a game has me so enthralled that I’m going back to the demo over and over again because it’s so enormously, splendiferously fantastic that I can’t wait for the full release. 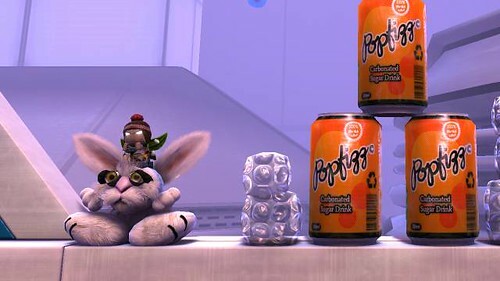 Robo-buns! Grapple Guns! The Tower of Whoop! THE BEST AND MOST AWSUM HATS EVAR!!!! Dude, this is seriously going to rock so hard that it will be subject to tectonic drift. 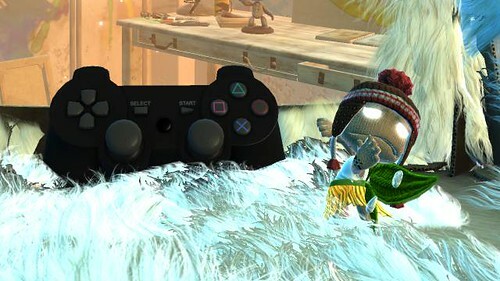 LBP2 is not going to be released until January. I haven’t been this excited since… since… Since the last time I was waiting for a new bike to show up! Intelligent objects! Digital puppetry! Linked levels! 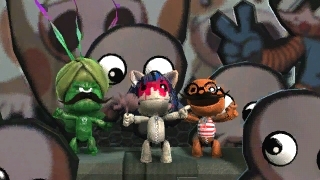 Little Big Planet may look like a game for kiddies, but I can assure you that grown-ups play it too, and are just as fond of mucking about with their sackpeople. No, that is not a euphemism. 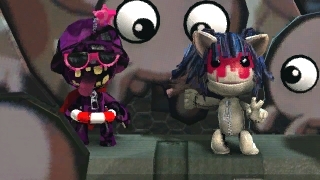 Frood (AKA Alibarbarella) and I have played the story levels all the way through and a great many of the community levels, and here’s my short guide for level-makers to creating enjoyable levels that will result in these two picky customers giving you five stars and a heart. You might think that this shouldn’t need to be said, but it does. If your level doesn’t work very well when more than one sackperson is on the field, say so in the description. It doesn’t mean we won’t play it — we’ll switch off one of the controllers and one of us will watch the other one play. The levels that play themselves are good examples. If two of you embark on one of those, a helpful NPC reminds you to switch off one of the controllers. If your level is designed to work for co-op that’s fantastic. We love co-op games. Levels we can play together are the levels that keep us coming back for more. 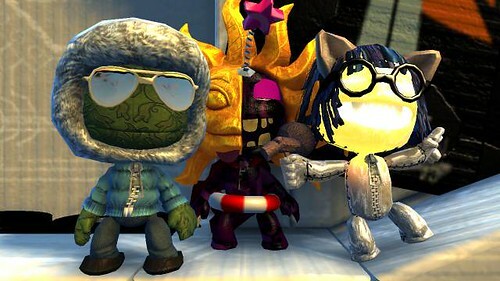 LBP is, after all, also a social game. That said, if you need more than one player to complete your level, you should say so. If your level can be played by two or more but you’re better off approaching the obstacles one at a time, it’s helpful if you explain that, too. 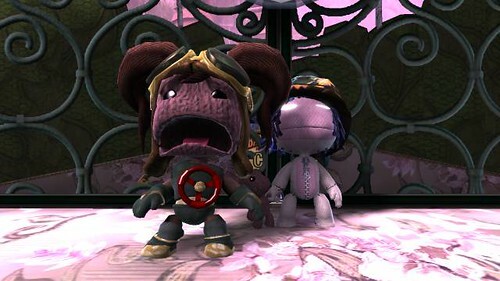 Remember that co-op sackpeople don’t like being separated. If your obstacles cover a lot of space, make sure that all players can complete each one together, otherwise there will be much peeping and someone will end up piffing. The best levels have an economy such as would be found in a short story (I’ll talk more about telling stories with levels in a later post). 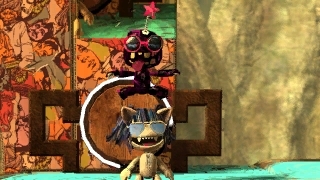 There’s no point putting in a hellishly fiendish obstacle if the sackpeople can just go around it, and sticking a few points balls at the top isn’t incentive enough to waste valuable lives making the attempt unless you’re trying to ace the level. A really neat sticker (especially one that becomes a switch trigger later) might induce me to tackle an obstacle that’s not vital to completing the level, but I don’t get a kick out of grabbing everything there is to grab. Not everyone does. If I reach the end and it says I’ve only managed to find 64% of the items, that doesn’t necessarily make me unhappy or want to play it again. A good story, with well thought-out obstacles — that makes me want to play it again. Check out Innocent Cows… That’s a great level, and we’ve played it a few times. Note that it took two months of work and hand-drawn artwork. Good levels don’t come easily. If you haven’t heard of beta testing, then you’re doing it wrong. 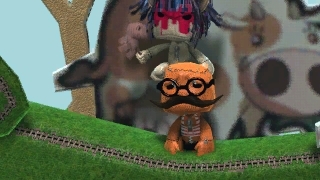 Sackpeople are like hamsters, or octopuses. When you want them to go through a gap they’ll stubbornly refuse and hop to either side of it like it’s the fourth wall. When you don’t want them to go through a gap, they’ll be straight through there and nothing you can do will stop them. Then they’ll get stuck. They also break things. The players out there will take your level and turn it into so much useless junk, if you haven’t built it robustly. There’s very little worse in Little Big Planet land than getting halfway through a level and discovering you’ve broken it. 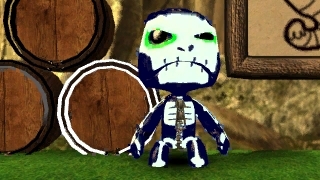 A pretty typical flaw is when a level generates a vehicle as a one-off, it somehow gets broken or lost (sackpeople also let go when you least expect it) and then you can’t finish the level because the vehicle was necessary to get to the next area. In addition, we don’t like it when we find ourselves behind the scenes, looking at the winches and pulleys, and can’t get out again. In short, don’t give us a level we can break. That makes for sad, angry sackpeople. There’s something to be said for the infinite lives portals. A couple of community levels out there (I can’t look them up because Frood is hogging the machine for level building right now) are designed to be one trap after another. Relax, it tells you. You will die. It’s fine. You have infinite lives. Sit back and enjoy. Running out of lives halfway through a level and having to start again might be part of the fun for some — I own more than one version of R-Type, I get it, I really do — but personally I prefer not having to go all the way back and start again. If you’ve got a particularly tricky bit in your level, in which it’s necessary to get it right to within a hair’s breadth, or learn a complex pattern, consider using a double portal, at the very least. I don’t mind dying, but I don’t like getting frustrated. Gaming is supposed to be fun. On the other hand, there are tags for “tricky” and “frustrating”, so if you like killing sackpeople go right ahead. It’s just that we’ll probably skip it. Use these wisely, young sackperson! You can get away with almost anything if you explain it up front. There will be players out there who will enjoy whatever fiendish tricks you have to offer, so make your description count! 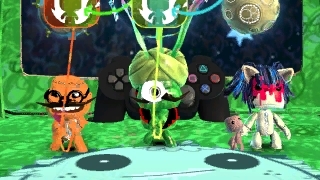 For every player who wants to bring three friends there’s another who likes having levels all to himself. For every player who likes infinite lives there are more who like the challenge of having to do a level over and over to get it right. The important thing is to give us levels that work and are fun to play. If a description covers the important facts then we can choose the ones we are more likely to find enjoyable and you are more likely to get hearted.